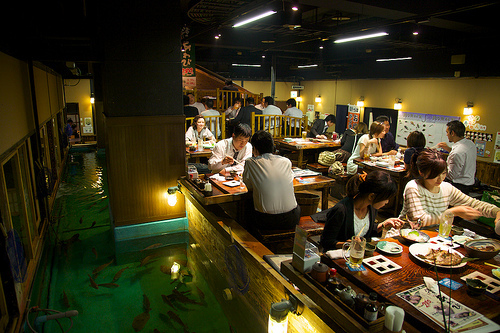 Tsuribune-jaya Zauo is a Japanese izakaya bar restaurant, where customers can catch fish in a fish-tank and eat the fresh fish. 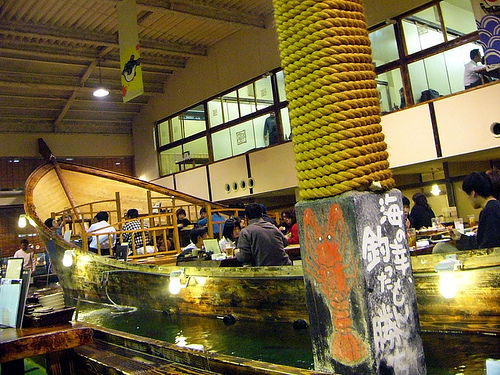 In the restaurant, there is a large fishing boat with 40 seats. 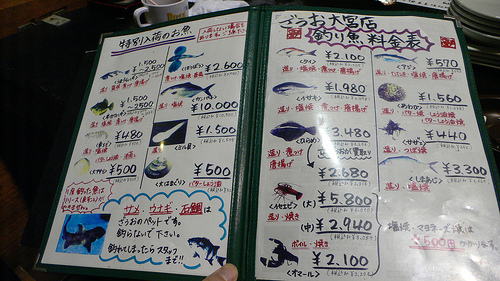 If the customers catch fish, they can get discount, and choose how they want the fish to be cooked; sashimi, grilled, simmered or fried. The video below shows how it works. The customers caught two white trevally and had them grilled. Besides the fishing boat seats, there are private fish-tank rooms for groups of 4 to 16 people. According to the restraint’s website, Zauo has 14 locations in Japan. It will be fun to catch your own fish, but if you are not good at fishing, you can order a course or single platter of [W:sashimi] and sushi.